Scott Thompson is an Emmy-nominated actor, writer and comedian who appears on the NBC crime show, Hannibal, and was also a featured performer on the groundbreaking HBO sitcom The Larry Sanders Show. Though he’s venturing into stand-up and working on a graphic novel trilogy/animated series called The Hollow Planet, Thompson remains an active member of the beloved and fearless comedy troupe, the Kids in the Hall, who are touring throughout North America this spring. Scott recently answered the Exclaim! Questionnaire and so here, Scott and I discuss his current activities and the Kids in the Hall tour, Game of Thrones and House of Cards, living in Toronto and beating cancer, “Piss Christ,” Martha Henry, playing a gay cruise, winning the Rose of Montreaux, uppity political correctness, the internet, foot hygiene, Alice Cooper and Cat Stevens, exotic travel, snakes and heights, beards, going to a UFC fight with Laurence Fishburne, religious studies, Macy Gray’s “I Try,” and that was that. This episode of Long Night with Vish Khanna was recorded at the Great Hall in Toronto during the Long Winter multi-disciplinary arts festival on Friday March 13, 2015. 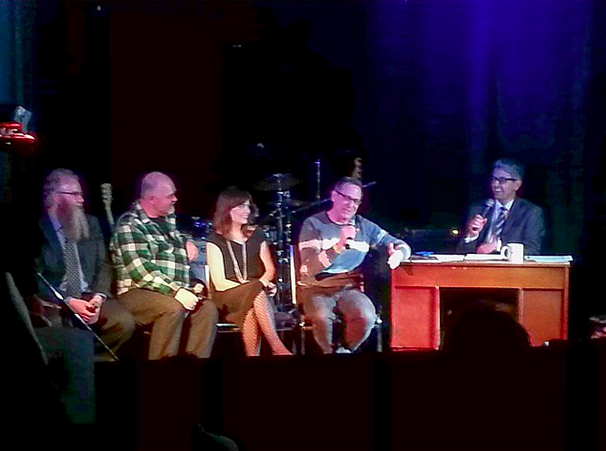 Aside from Long Night sidekick James Keast and house band the Bicycles, Vish’s guests were Don Pyle, Damian Rogers, Scott Thompson, and Overnight. Don Pyle is a punk rock historian whose photo book, Trouble in the Camera Club, documents the rise of underground music in Toronto in the 1970s. He’s also a busy musician and producer who has overseen records by Flesh World and TV Freaks and scored shows like Queer as Folk and films like the forthcoming Portrait of a Serial Monogamist. His band Shadowy Men on a Shadowy Planet is one of the most significant to ever call Canada home and, at some point in the future, the American label Yep Roc will be reissuing their three albums individually and in a box set. Damian Rogers is the poetry editor at both House of Anansi Press and The Walrus. She’s also a published poet herself and her new collection, Dear Leader, is celebrating its release on Coach House Books with a star-studded book launch at the Drake Underground at 7 PM on Tuesday March 24. Scott Thompson is an Emmy nominated actor, writer, and comedian who appears on the groundbreaking NBC hit, Hannibal, and was also a featured performer in my favourite television comedy program of all time, HBO’s The Larry Sanders Show. 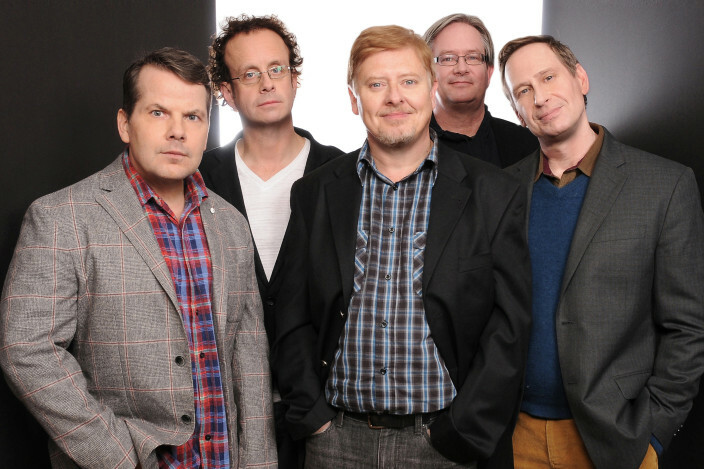 He is a member of the iconic comedy troupe, the Kids in the Hall, who are touring this spring, including shows at the Danforth Music Hall on April 23, 25, and 26. Overnight is a band from Toronto featuring two members of the influential and no longer functioning Halifax pop band Plumtree. Sisters Carla and Lynette Gillis have kept themselves busy since the end of Plumtree and here, they played a song called “It Gets You Down” from their brand new album, Carry Me Home.